Absolutely stunning two story home in Park View Commons that is loaded with fine finishes and quality upgrades. This home perfectly sits above and backs to the beautifully maintained community pool and park. This spacious open-concept floor plan features an upgraded gourmet kitchen with refinished cabinets, custom tile back-splash, stainless steel appliances, pantry and extended tile floors. The large family room is flooded with natural light through the large windows that perfectly frames the park-like setting and has an elegant gas fireplace. The main floor is complete with a formal living/dining room, convenient laundry and guest bathroom. The upper level features a luxurious master suite with 5 piece master bathroom and two additional bedrooms with a full bathroom. The professionally finished full walk-out basement is a full living area with bedroom, bathroom, living area and full kitchen. 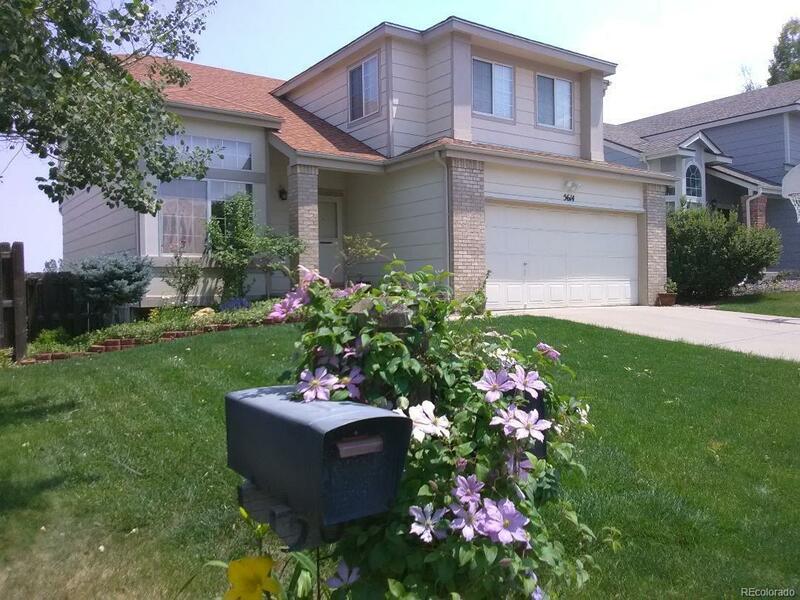 Central Air, Deck, 2 Car Garage, Cherry Creek Schools and so much more! This home has it all!